A Swedish heavy metal band scheduled to rock the Metro Operahouse in Oakland Saturday night didn't even see the stage. That's because police were worried about public safety after reports surfaced that the band, coined Marduk, has ties to white supremacy and anti-Semitism. Those reports materialized into threats directed at the Oakland Metro Operahouse. Out of an abundance of caution to protect employees and the public from any potential harm carried out by protesters decrying the band, the Oakland Police Department advised the Oakland Metro Operahouse to call off the event. The music hall did investigate the band and found no evidence to suggest that the band has a history of controversial behavior. "In the last week, we have read interview after interview with Marduk spanning over the last 20 years and found no statements indicating the band are white supremacists, nationalists, or anti-immigrant," a statement published on the Oakland Metro Operhouse Facebook page read. However, in the wake of protests that erupted on the UC Berkeley campus surrounding Breitbart News editor Milo Yiannopolous' scheduled visit, police still urged the hosts to cancel the event in the name of public safety. 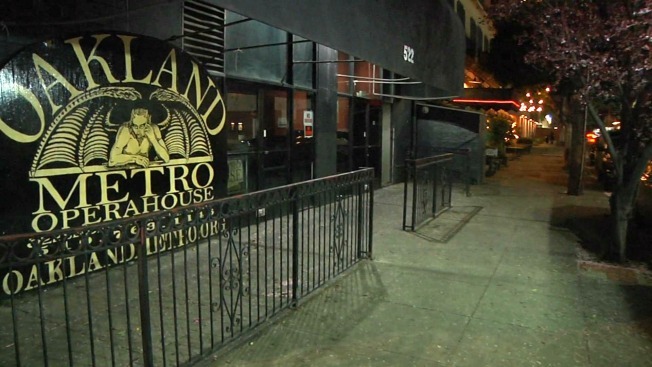 Police also stated that the Oakland Metro Operahouse did not give the department's Special Events Unit ample time to create a thorough security plan. Droves of frustrated and impassioned fans took to Facebook to voice their displeasure with the cancelation and the police department's treatment of the band. "There goes freedom of speech," Manuel Sosa wrote. Christian Becerra, claiming to be a fan of the band since 2002, added that Marduk is "not a racist band." Dozens of people unaware that the show had been canceled showed up to a dark venue full of questions and complaints. "They try to close down a local death metal show that has nothing to do with anything," Robert Burton from Concord said. "Nobody's a Nazi here."